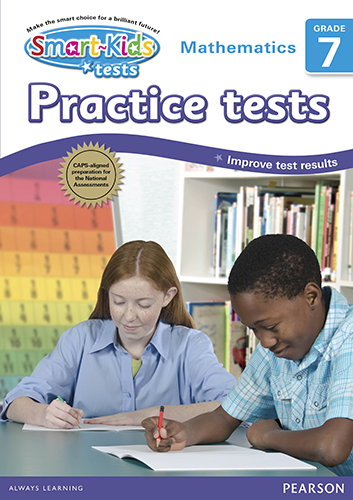 The Smart-Kids Grade 7 Practice test books are written and reviewed by South African teachers. The tests are designed to help prepare learners for Mathematics tests and formal assessments and to improve their results. These tests are also very effective for use before Mathematics National Assessments. Includes tools to help you diagnose problem areas based on test results.